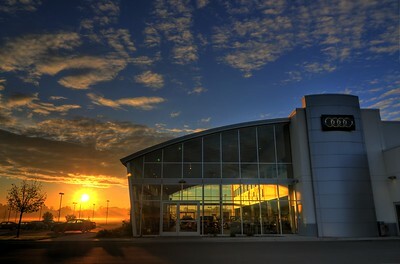 Sunrise at Maplewood Audi. One of the only dealership photos I have taken; Maplewood Audi. This is a 7 bracket shot, combined in PhotoMatix. 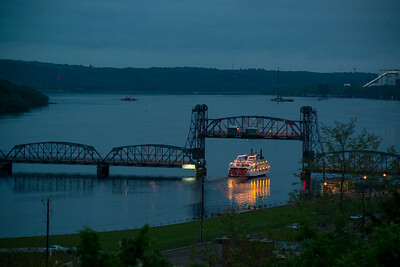 The Andiamo Showboat from St. Croix Boat & Packet passes under the Stillwater Lift Bridge returning to dock. 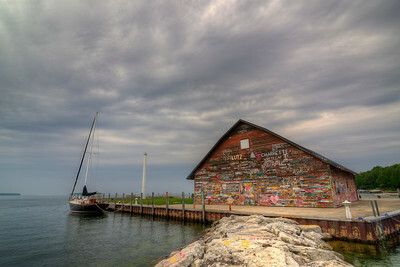 The old Anderson Warehouse in Ephraim is covered in grafitti by locals and visitors alike. 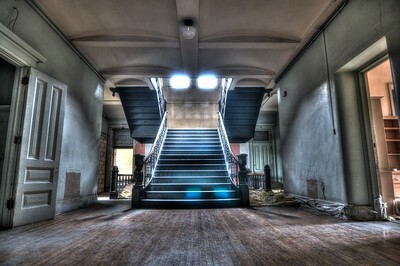 Abandoned Staircase. Fergus Falls, Minnesota. 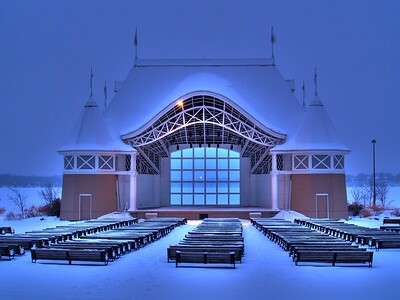 Lake Harriet Bandshell. Minneapolis, MN. 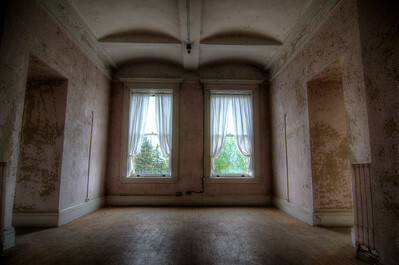 Empty Nurses Cottage. Fergus Falls, Minnesota. 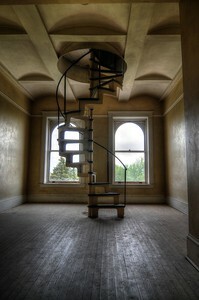 Spiral Staircase. Fergus Falls, Minnesota. 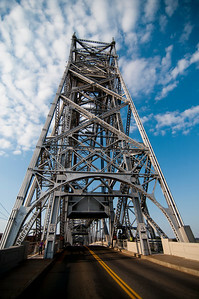 Side view of the historic Duluth Lift Bridge, Duluth, Minnesota. The hallway between two rooms on the 4th floor at the RTC/Kirkbride building in Fergus Falls, Minnesota. One of the brick buildings at the Fergus Falls Regional Treatment Center. 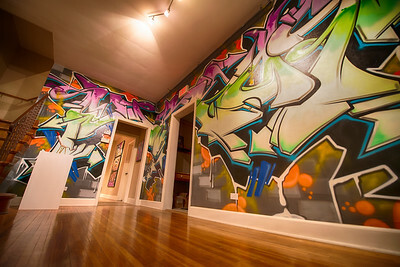 Glam Slam, Minneapolis. 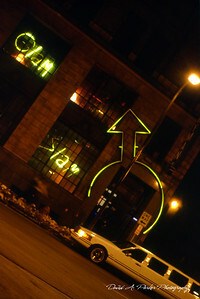 Prince's old nightclub in Minneapolis; this was taken on 35mm slide film and scanned in later. 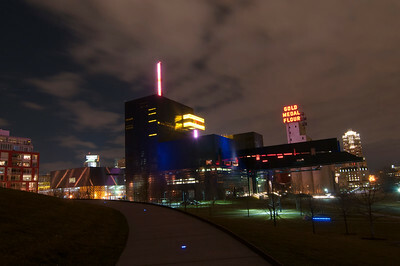 Guthrie Theatre with the Gold Medal Flour sign in the background. 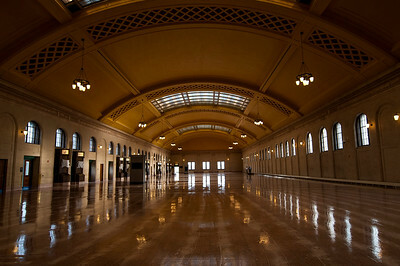 Inside the historic St. Paul Union Depot. 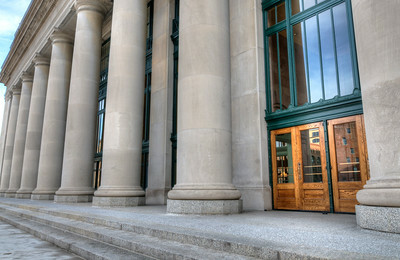 One of the entrances at the front of the St. Paul Union Depot. 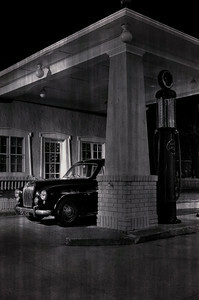 MG at the Pumps. An old MG at a retro gas station south of Stillwater. 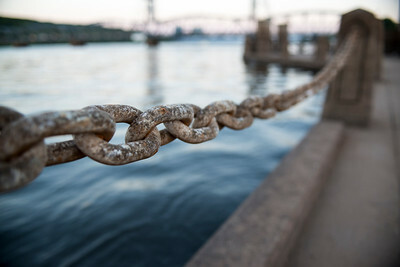 One of the many sections of chain along Lowell Park in Stillwater. Most of these were underwater for several months this year. 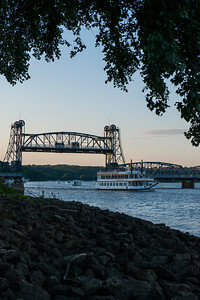 One of the several paddle boats from the St. Croix Boat and Packet. I was in the right place at the right time when it was returning to dock. 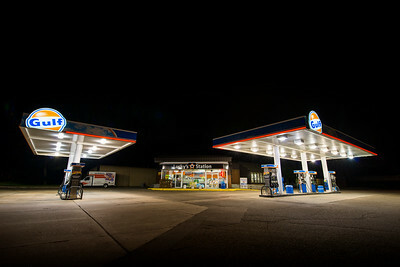 I was able to talk to one of the firefighters, who insisted on turning on the truck headlights for me to take this shot. 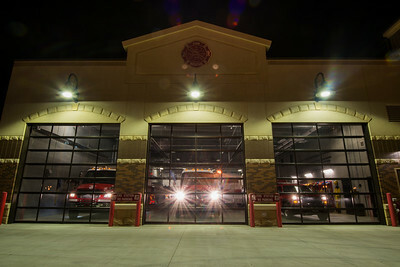 Last time I was shooting the fire station, the three front lights were not installed yet. 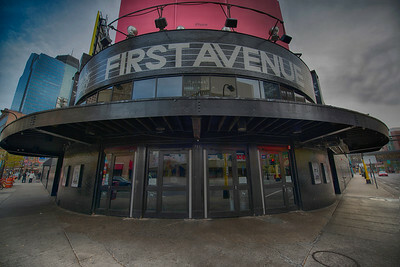 I used to go to First Avenue weekly for the dance party nights. Been a while since I've been there, but had to go check it out while exploring downtown one day. 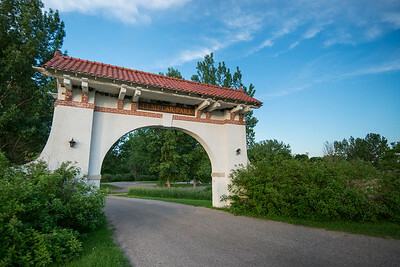 I've been past this park entrance many times, but never either with my camera equipment or with the best clouds. The skies decided to cooperate with me on this particular afternoon. 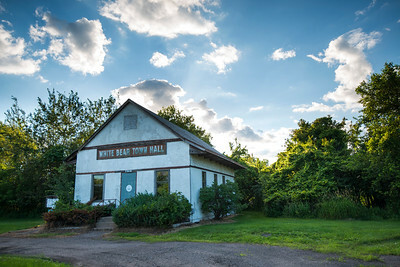 This old town hall has been around since 1885. 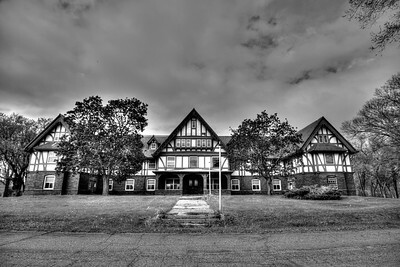 Designed by Cass Gilbert, it is in disrepair and could be torn down instead of preserved. 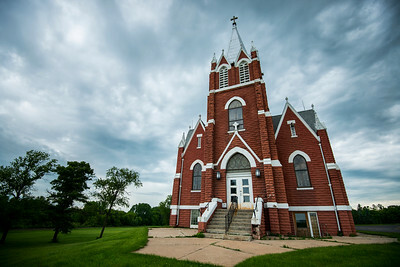 I found out about this church almost too late; about a month after photographing it the historic structure was torn down by the members of the church that built a new building behind it. Preservationists tried to save it, but the church elders had made up their mind; it was coming down.